Dutch artist Ronald Hunter creates affordable paintings in bright colors. 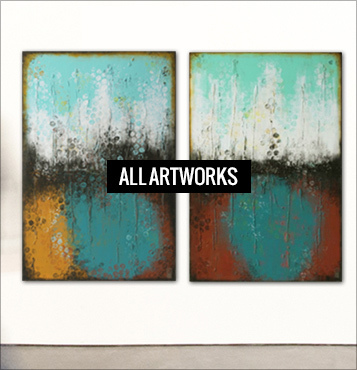 He is famous for his colorful layers of acrylic paint, adding depth and texture to every artwork. For commissions or questions about his art, get in touch and send an email to info@ronaldhunter.com. And don’t forget to follow his Instagram page. This page gives you a total overview of the art collection of available artworks made by Ronald Hunter. Most of the paintings you see are created in 2018. All original art is created by Ronald Hunter in his art studio in Rotterdam, The Netherlands. 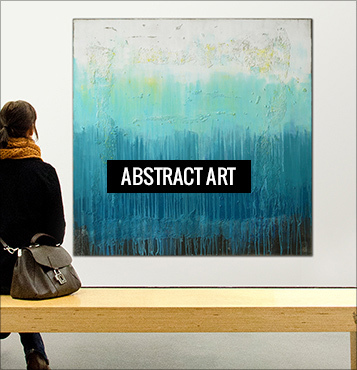 Art collectors can buy paintings straight from the artist. Interested in a custom artwork by Ronald Hunter or need assistance? Get in touch! We usually respond within a few hours. 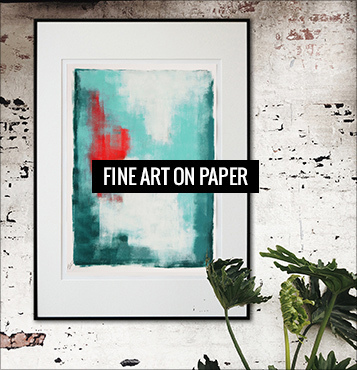 Fine art on papers for sale. For anyone who is looking for smaller sized art, we offer Ronald’s colorful collection of abstract paintings on paper. A balanced composition of color and form, every piece is unique and handmade. Ronald uses acrylic paint and high-grade paper (240-300 gr) to create art that is truly one-of-a-kind. In addition, his Fine Art on Paper is available in two sizes. So, get ready to shop these affordable and special artworks.